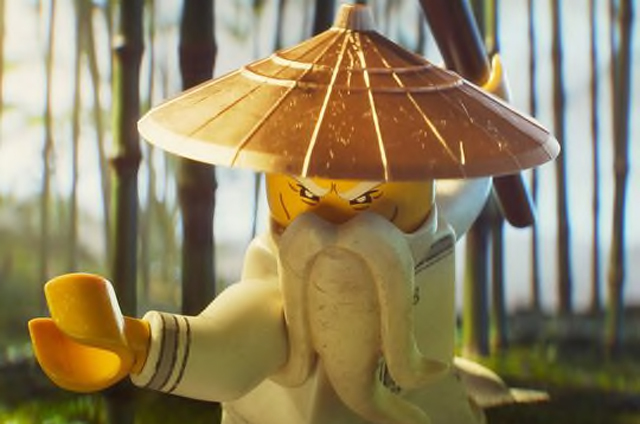 Warner Bros. Pictures (via USA Today) has debuted more new The LEGO Ninjago Movie images featuring Master Wu, Jackie Chan’s sensei character. Check them out in the gallery below! Inspired by the wildly popular LEGO line of toys, The LEGO Ninjago Movie is the story of six young ninja tasked with defending their island home, called Ninjago. By night, they’re gifted warriors, using their skills and awesome fleet of vehicles to fight villains and monsters. By day, they’re ordinary teens struggling against their greatest enemy: high school. The voice cast for the film also includes Dave Franco as Lloyd, Michael Peña as Kai, Abbi Jacobson as Nya, Kumail Nanjiani as Jay, Zach Woods as Zane, Fred Armisen as Cole, Justin Theroux as Garmadon and Olivia Munn as Koko. The LEGO Ninjago Movie is directed by Charlie Bean (Tron: Uprising, Robotboy) and written by Ninjago: Mastes of Spinjitsu scribes Dan Hageman and Kevin Hageman. The LEGO Movie directors Phil Lord and Chris Miller will produce with Roy Lee and Dan Lin. Look for the film to debut in theaters September 22, 2017.